24bit Remastering - Audiophile RecordingNo. of Disc: 2 CD Cataloge No. : PS18005 / Premium Instr..
24bit / 192 KHz Remastering - Audiophile RecordingNo. of Disc: 1 CD Cataloge No. : PR27793 / P.. This CD represents vocalist Trish Hatley at her romantic best. Simply put, these are love songs. Lis..
24bit / 96 KHz Remastering - Audiophile Recording Featuring : Lex VandykeNo. of Disc: 1 CD Cat..
24bit / 192 KHz Remastering - Audiophile RecordingNo. of Disc: 2 CD Cataloge No. : PR27918 / P..
24bit / 192 KHz Remastering - Audiophile RecordingNo. of Disc: 4 CD Cataloge No. : PR27891 / P..
24bit / 192 KHz Remastering - Audiophile Recording No. of Disc: 1 CDCataloge No. : P..
24bit 192 khz Remastering - Audiophile RecordingNo. of Disc: 1 CD Cataloge No. : PR27870 Offici..
24Bit Remastering / Audiophile RecordingTotal of 24 tracks in 2 CD, packaged in an Unique Cardbo.. Various : Retro Nite II Euro SwingsA great compilation of 16 hits from the 80's Euro Swing Era. ..
No. of Disc: 2 CD Cataloge No. : AVTCD95919 Official Release by: 2006 Armada Music B.V. / AvexAsia ..
No. of Disc: 2 CD Cataloge No. 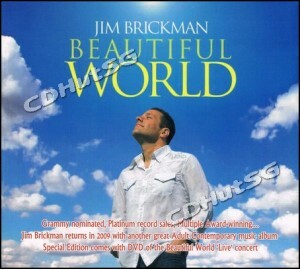 : AVICD604345 Official Release by: 2007 Cloud 9 Music BV / Avex Taiw..
Grammy - nominated pianist Jim Brickman s latest album, Beautiful World, is a collection of songs in..